Everyone loves brownies…Am I right? 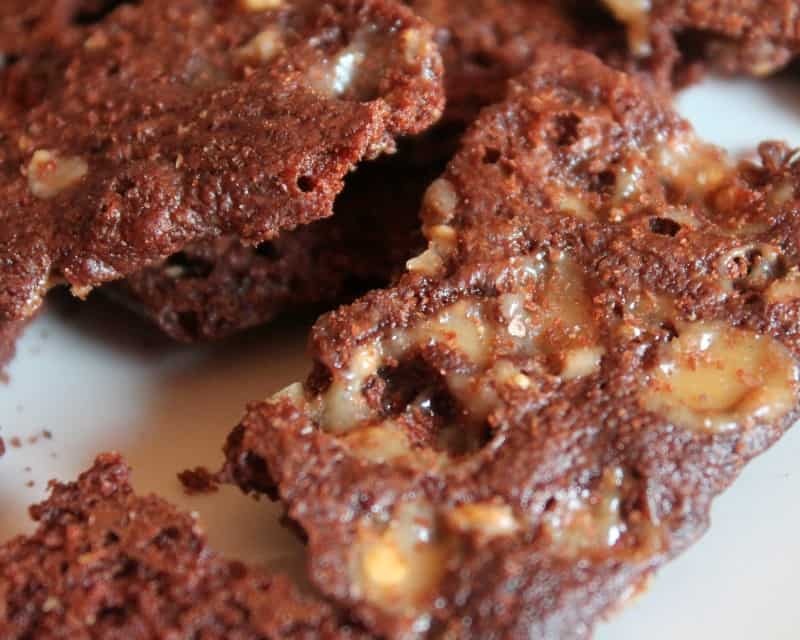 And a lot of people love peanut brittle, but how many of you have had Brownie Brittle? I’m pretty sure most of you kept your hands down! In 1992, Sheila G. Mains (that’s Sheila G), made her family’s brownie recipe famous, and made a name for herself in the business. You may have tasted her delicious original brownies at a theme park, or a restaurant. 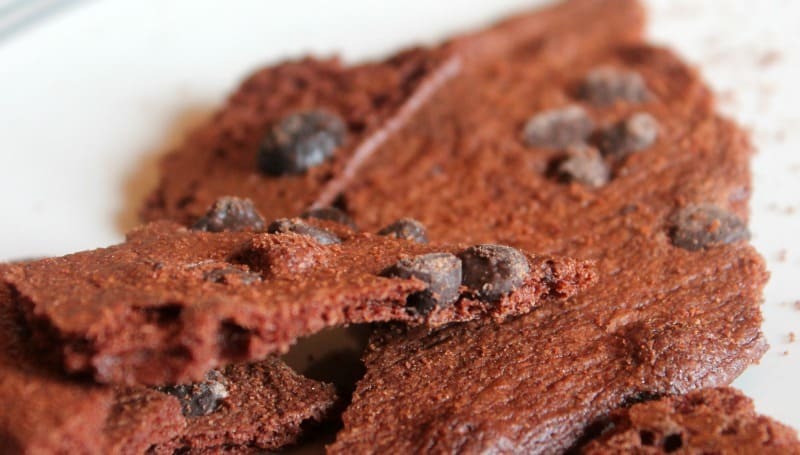 The brownie brittle idea came from everyone’s love of the “crunchy edges” that you get from the corner and edge of the brownie pan. Sheila would find her way into the kitchen and “steal” some of the crunchy edges from the cooling racks to eat while working in her kitchens. It had the same great taste as her brownies, but with that extra added crunch that you could only get from the edges! That made her think about how she could make brownies that ALL had the same great crunch as the edges. I’m sure you’re wondering how she did it, but that’s a secret she’ll never tell. I’m one of those people who tries to keep the brownie corner pieces to myself. They’re so good and usually have a nice bit of saltiness to them. The majority of my food cravings are for something crunchy and a little salty, so brownie corners fit the bill. Trying Brownie Brittle for the first time I was skeptical about the comparison. After all, how could something from a bag compare to something fresh out of the oven? Brownie Brittle comes in 3 flavors: Chocolate Chip, Toffee Crunch, and Traditional Walnut. My family and I tried the Chocolate Chip and Toffee Crunch Brownie Brittle. My 10 year old quickly grabbed for the bag of Chocolate Chip Brownie Brittle because, well, they were chocolate chip. He tore into the bag like I hadn’t fed him in a week (I feed him multiple times a day, I swear) and began to eat. He was intrigued by the different sizes and shapes of the brittle. He doesn’t like peanuts so he’s never had peanut brittle – this was the closest he’s come. While I can’t compare this to peanut brittle (it’s not sticky or hard) it is definitely delicious. It’s like a thin, airy yet crisp cookie that’s packed with flavor. The Chocolate Chip Brittle was my sons favorite. He loved finding a piece filled with chocolate chips – which was pretty much every piece. I, on the other hand, am smitten with the Toffee Brownie Brittle. They are just as delicious as the Chocolate Chip Brownie Brittle but with the slightest salty undertone that I love from toffee. They don’t have an overwhelming toffee flavor – but you can tell it’s there. Especially when you get a piece with lots of toffee bits! There are a lot of crumbs collected when eating Brownie Brittle, so be sure to put on a bib or at the very least eat it over a plate or bowl! They’re also highly addictive. I had to beg John to take the bag away from me because my hand just kept dipping in to pull out more! It’s not all bad though – at 120 calories per serving (4 servings per bag) the guilt is minimal if you do happen to eat the entire bag. 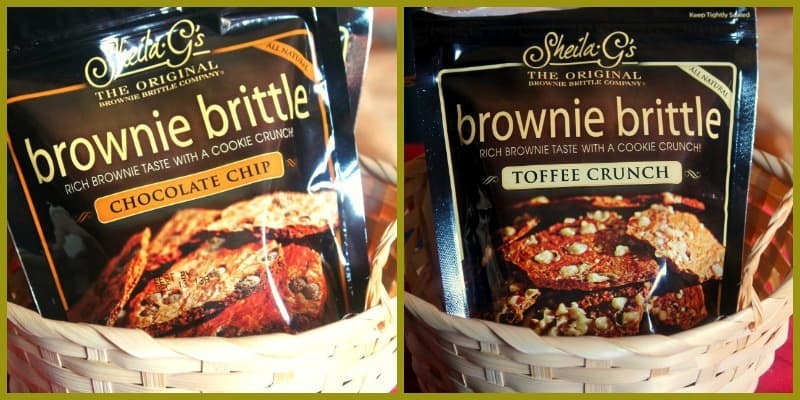 So, do I recommend Sheila G’s Brownie Brittle? Only if you are ready for delicious treat you may or may not be able to tear yourself away from. Oh, and if you’re prepared to share – everyone will want some of these as they bring the best part of the brownie to an air tight bag in your pantry! You can buy Sheila G’s original Brownie Brittle on her website, and like Brownie Brittle on Facebook to stay up to date on the latest flavors and more. One key thing that sets Kind Snacks apart from other healthy & nutritional snack bars is flavor. Have you ever had a healthy snack bar that tasted like cardboard or something much worse? Those that make you want to rip your tongue out instead of enduring the torture? 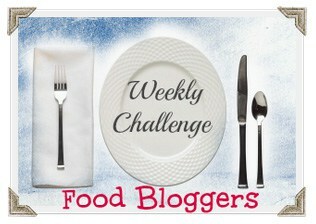 Yea – they are really awful and give healthy food a bad name. Kind Bars on the other hand are absolutely amazing. If the numbers weren’t crystal clear you’d never believe they were healthy. Every combination of fruits, nuts and grains gives you a happy mouth. The flavors meld together in a way that makes you believe they were meant to be together all along. There’s a wonderfully fresh taste to each of the bars; there is absolutely no sacrifice of flavor. Another great thing about Kind Snacks bars is the ingredients list. You wont find any ingredients you can’t pronounce or any that you wont be comfortable feeding your family or self (with the exception of allergies, of course.) They use natural ingredients and no GMO’s. Several of the Kind Bars are enriched with vitamins & minerals such as calcium, antioxidants and more. 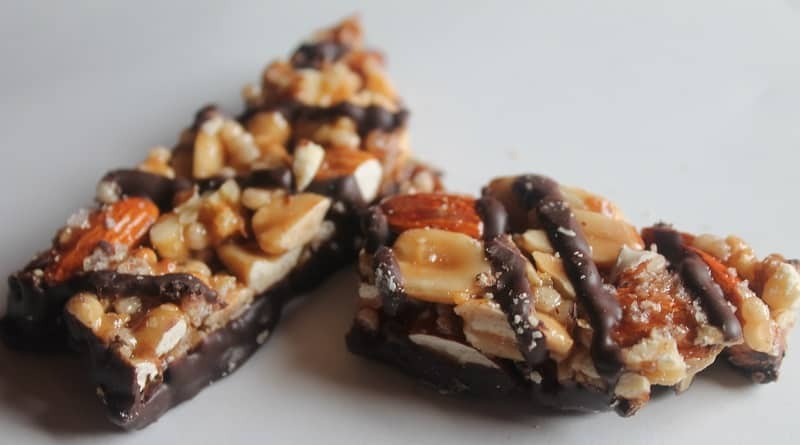 The texture of many of the Kind Snacks bars are similar to peanut brittle. Those made with nuts have whole nuts – not bits and pieces. Those with chocolate are my favorite. And it’s real, high quality chocolate – not that chocolate flavored product you get with some other bars. The Dark Chocolate Nuts & Sea Salt Kind Bars are my absolute favorite. I almost feel guilty eating them; they’re just that good. But then I look at the wrapper and see there is only 5 grams of sugar and 200 calories. That’s enough to put my mind at ease. Then I see 210 grams of potassium, 7 grams of fiber and 6 grams of protein and I feel pretty darn good about my snack choice. If you’re looking for a healthy snack option, look no further than Kind Snacks bars – seriously. They not only leave you feeling full but satisfy your cravings for sweet, salty or crunchy perfectly. Kind lives by the belief that “You are what you eat.” That’s why they put so much effort into creating a high quality product they can be proud of. When you enjoy a Kind Bar you’re giving your body essential vitamins and nutrients such as fiber, calcium, whole grains, omega-3’s, protein, antioxidants, and the same heart-healthy, monosaturated fats found in avocados and olive oil. Kind Snacks are also gluten free and low glycemic. 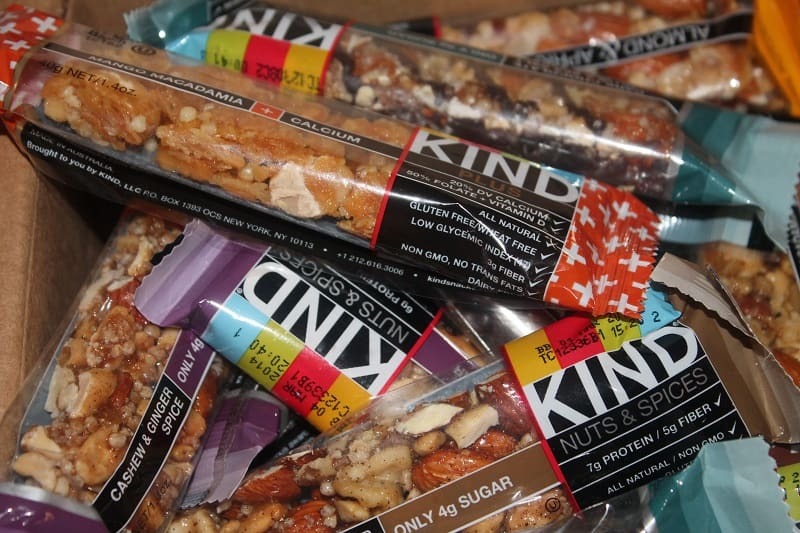 Find Kind Bars in your grocery or convenience store or shop for them online. You can also connect with Kind Snacks on Facebook and Twitter. Disclosure: I received samples of the above product for the purpose of this review. I was not required to write a positive review & all opinions are my own.